Become an expert in content marketing. Master various aspects of planning and executing content marketing strategies to create impressive content with greater efficiency and impact. Content Marketing is aimed at building authority, amplifying the message, acquiring, and retaining the intended audience. Well written Marketing Content helps build the reputation of a trusted advisor. This Advanced Content Marketing Course trains participants to produce compelling and impressive Marketing Content, concentrating on the vital strategies, tactics, and best practices that a writer needs to create and enhance content marketing efforts. This course also helps participants learn various aspects of planning and executing Content Marketing strategies with greater efficiency and impact, guiding participants to harness the power of words to disseminate information and create impressive marketing content. Create best practices for content across media types, including social media, images, etc. 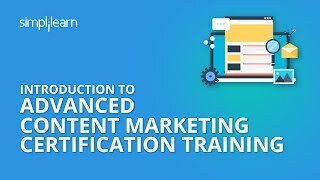 How do I get certified in Advanced Content Marketing? There are no particular prerequisites for this course. However, participants should have a flair for writing. Although not required, many participants might also benefit from our Content Marketing Foundations course. This is definitely an interesting course for getting a hang of how to manage social media channels. This course offered by Simplilearn is quite interesting and useful for everyone who is looking for developing the content and using it for B2B marketing. This course is all-inclusive, providing more than 15 hours of high-quality eLearning content. You’ll also be able to test your progress with our online quiz and get a feel for the real world with our downloadable workbooks and exercises. And, the practice tests will help prepare you to take the exam, so you can receive your certification. You should expect to spend about 15 hours to complete the course and take the certification exam. Individuals are expected to have a fair understanding of popular search engines as well as working knowledge of the Microsoft Office suite including Word, Excel, and PowerPoint. Additionally, participants should have knowledge based on the sections “Introduction to Online Marketing” and “Internet Marketing Fundamentals.” It’s advised that participants complete those two sections before diving into the rest of the course. Do I have to order any course material? This training course is all-inclusive; all materials are included. The package consists of enriching video lessons, downloadable workbooks and exercises for practice, end of chapter quizzes, and sample projects. Our reputed team of expert instructors have a long history with the industry and are certified Subject Matter Experts in their own respective fields. 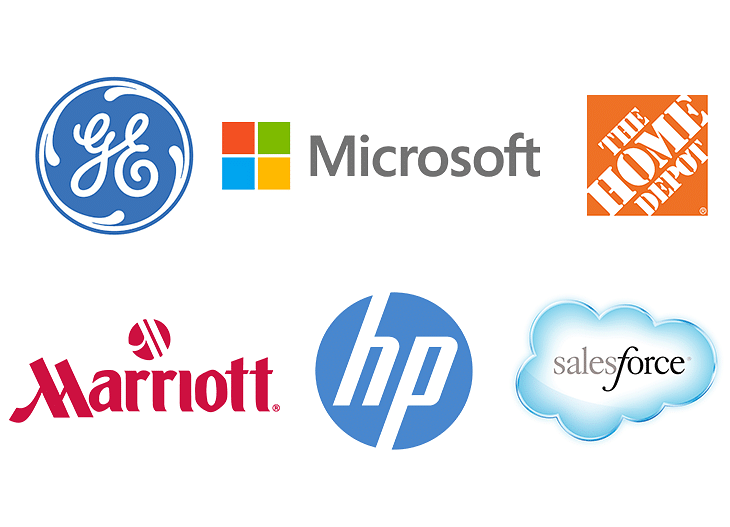 They are consultants, employees of leading organizations, authors, trainers, and speakers at conferences with combined decades of experience. Industry expert Todd Malicoat helps participants understand Search Engine Optimization rankings and traffic. Training with New York Times bestselling author Bryan Eisenberg is an awesome experience, as he guides participants through conversion optimization, landing page performances, and tips to get more traffic to your website. Matt Bailey, founder and president of SiteLogic, gives participants an overview of Internet marketing fundamentals. Who are your clientele for this course? The typical audience for our training is usually working professionals who want to sharpen and upgrade their skills to boost their careers. Professionals in entry- and mid-level positions find our training ideal. How is the job market for digital marketing professionals? The job market is wide open for online marketing certified professionals. An estimated 200,000+ positions are still unfilled in various specialties of digital marketing (Source : Monster.com). This has led to the rise in demand for skilled professionals and the industry looks very bright for the future with a many opportunities. Simplilearn’s training prepares novice individuals and experienced professionals alike to gain a firm ground in the online marketing vertical by enhancing and advancing their skills and knowledge. How does the online eLearning training work? Participants enrolled in the course move through a structured pattern of study, which enables study at their own pace and place. The training includes the latest video lessons and eLearning content to give participants complete overview of all the concepts. How do I enroll in this program? You enroll in the program on the Simplilearn website, and make an online payment using any of the following options. You will be emailed a receipt after the payment is made. Will the access period be extended? Yes, you can extend the access period by paying an additional fee. Contact Customer Service through our Help and Support portal. I have trouble accessing the online course whom should I contact? If you have trouble accessing the course at any time, use the Help & Support link to contact our Support team. You can also use the Live Chat link to chat in real-time with one of our Support team members.